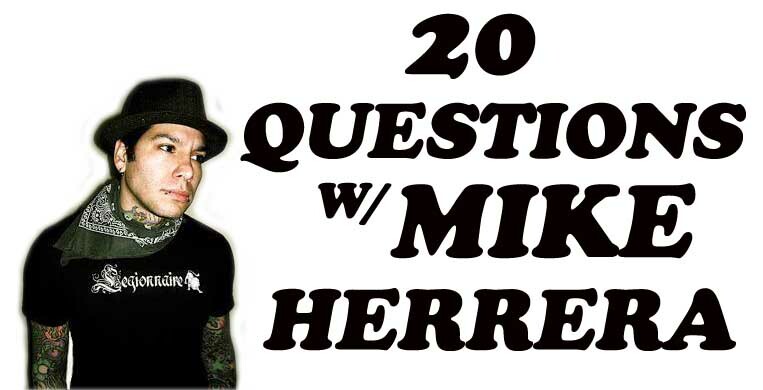 “20 Questions” with Mike Herrera of MXPX! Today I am BEYOND excited to feature Mike Herrera, the lead singer of MXPX and of course Tumbledown, Arthur and The Cootees. So let’s get to it!!!!! i was a young boy and heard Willie’s “On The Road Again” while riding in a car no less. This song immediately stuck with me and i started singing along. Rolling down the highway screaming the lyrics to a song i didn’t understand. (i understand it all too well now.) The other members of my family quickly tired of my singing and proceeded to yell back at me to be quiet. That was their greatest mistake! I just kept on singing louder and louder, and when i got quiet for a few moments and they thought it was over, i’d burst back into the chorus with great joy that i was driving my family absolutely crazy! – that is amazing! Willie Nelson is great! And I’m sure now your family can look back and know…”that’s where it all began” and smile. 2. What was the very first album you ever purchased? I don’t remember which album i actually bought, the first album that was handed off to me for listening was, The Stray Cats-Built For Speed. A close tie would be Huey Lewis & the News-Sports. I had these cassette tapes playing in my stereo till the plastic melted into the deck! 3. What are your top 5 favorite albums at this moment? 4. You have been playing music professionally for quite some time now. What is one thing that has never changed when it comes your music? 5. 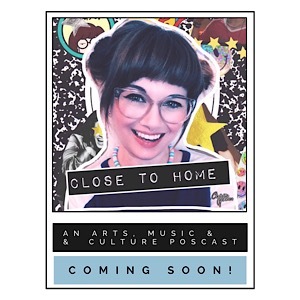 What is the best//worst parts of working in the music industry? Getting to travel and see the world, learn about different cultures, meeting people, and gaining a real sense of where i fit into the world. On the flip side of that. Being away from home, family and friends. And having no job security! 6. What is your favorite song that you have recorded? and why? That changes as time marches on. Currently it would have to be, Places In This Town, the first track from the latest Tumbledown Album, Empty Bottle. I just love how the song came together and i got a guitar solo!! 7. If you could be a member of any other band, which band would you choose and why? The Beatles for Obvious reasons, but realistically i could see myself playing bass for Social Distortion. Sorry Brent!! I guess because I’m a fan and know I could fit well with the band. 8. What band was your ultimate favorite to tour with? I can’t remember! For me it’s always the most recent. Gasoline Heart. 9. Tumbledown has a “country” vibe to it which is amazing! What is the story behind the band? We started in 2007 with our first show Portland, OR (first time we played our home town was the homecoming show that ending the first tour) and tour of the west coast. backing up though, i had the guys in tumbledown be my studio band for the first demos and some of those songs became the atlantic city picture disc and ep. After I released the Atlantic City EP and got a good response, we started practicing the songs for when we eventually would play a live show. We toured and then made the full length studio album in early 2009. Ever since we’ve been touring a little more each year. 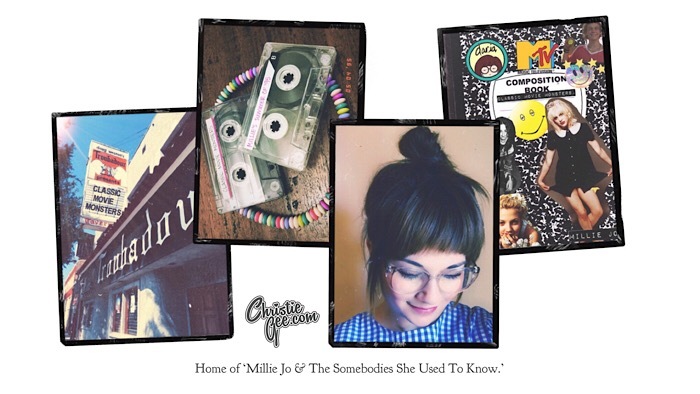 – I am excited to one day FINALLY see Tumbledown LIVE!!!! 10. Do you have any new projects coming up that we can look forward to? I’m currently writing and recording a new MXPX album. That’s right, a new full length! 11. If Hollywood made a movie about your life, whom would you like to see play the lead role as you? 12. If you were written about in the tabloids, on the front page, what would the headline say? 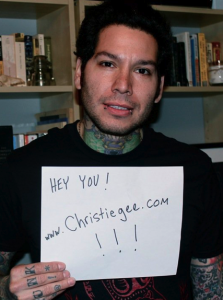 Mike Herrera bleeds blue blood, I really don’t know. 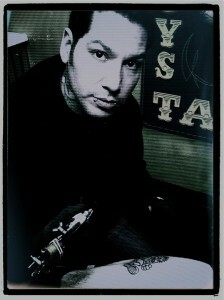 Mike Herrera joins paparazzi. 13. You have quite a collection of tattoos. Which is your favorite? The little ship on the side of my hand, or.. my whole back! 14. My friend Robert (from MyChildren MyBride) both have MXPX tattoos. :)Is it pretty common to meet other fans with MXPX tattoos? If so, which the best one you have seen? 15. If you could have any superpower, what power would you choose? Flight or to be able to transport myself and others to anywhere in the work instantly. 16. If you and Ethan (Luck) had a Vespa race, who would win? 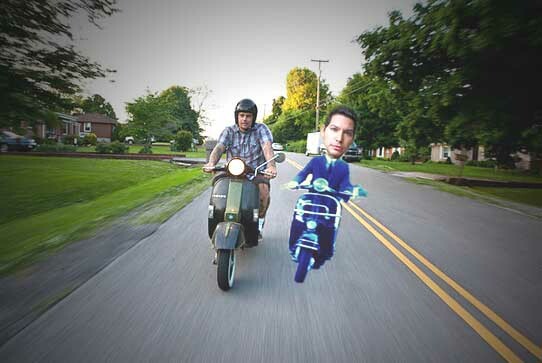 Depends on the Vespa, i used to own one.. sold it to Seth Roberts (of band Lakes) and then it was stolen!! but I ride motorcycles now. That wouldn’t be a fair fight. -yes…you would have an advantage with a motorcycle. haha! But you have to admit that this looks like a fun Vespa race. haha. 17. What is your favorite food/drink combo? This could be so many things. 18. 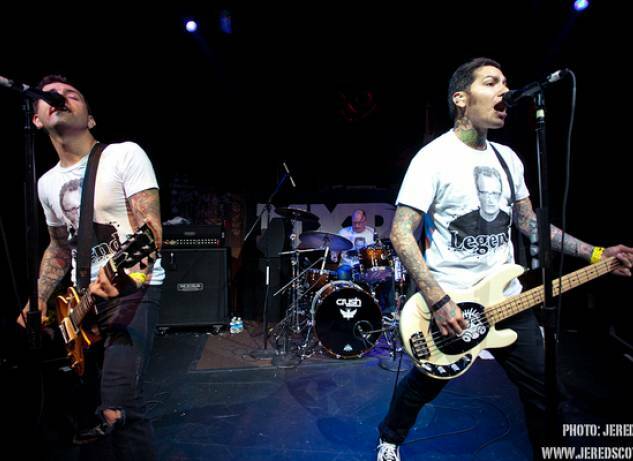 MXPX was my very first concert I ever went to on my own, with my friends. It was in 1998. I saw MXPX with Ghoti Hook and it was amazing! What was the first show you went to? Aside from small local punk bands. U2 on the Zoo TV tour at the Tacoma Dome! pretty Epic. The Pixies opened. -wow. that is one epic first concert! 19. What is one thing you never leave home without? A destination.. actually, that’s not true. 20. What is the strangest random talent that you have? Making strange sound effect noises with my mouth. -haha. maybe like that one guy from the Police Academy movies? BONUS: What is one thing you would like to tell the readers of this blog? Thanks for checking this interview out, if you wanna check out the music go to www.facebook.com/tumbledownmusic or www.facebook.com/mxpxpx thanks! -YES!! everyone please go check out all the projects Mike has going on! They are great and I guarantee you won’t be dissapointed!! I want to thank Mike Herrera for being a part of “20 Questions” with me! You are awesome and I can’t wait to hear all the great songs that are on their way to our ears. PS. THANK YOU FOR THE SIGN MIKE! Amazing interview.I´m from Argentina and I had the oportunity of being with Mike twice. He is a nice guy. I get sorprized when I saw the pics of mike´s tattoos by Oliver. Cool stuff.